Lately, I’ve heard this said a few times, and although it may be overused, I like it because it makes a good point. In a nutshell – listen more, speak less. It’s a simple concept yet difficult for many people. Back in high school I was pegged as an active listener during group discussions. At the time I thought this was negative, but I grew to learn that it’s actually positive. Listening is a skill. This has followed me through several jobs including my current work. I’d still call myself an active listener. In a group setting, I actively listen to the discussion around me and only pipe up when I have something valuable to contribute. And I soon discover that many people are not like that. Some people love to hear the sound of their own voice. I have a few coworkers and former coworkers whom I admire. Why? Because they’re active listeners. When they speak up I know they’re going to say something important or significant or valuable, so I be sure to listen. They’re not just talking for the sake of talking. They’re listening first, speaking second. So what does this have to do with marketing? 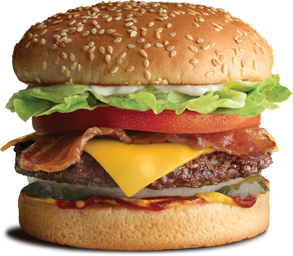 I’m now going to connect this subject of listening to another topic – The A&W Canada Better Beef marketing campaign. If you live in Canada, you’ve most likely seen the popular burger chain’s TV commercials promoting their new better beef, which is raised without hormones or steroids. I must admit that when I first heard about this campaign through Twitter it upset me. Why? Because I felt it was pitting one part of the beef industry against another, essentially saying this one is better than that one. But when I thought about it further I realized that A&W Canada is actually listening to its customers. They’re giving their customers what they want – a connection to primary production and a choice. Customers have obviously told them that they want to know where the beef in their burgers comes from and they want hormone- and steroid-free beef. That’s smart marketing. With that said, I don’t agree with their method of marketing. Promoting their beef as “better” is not necessarily the right approach to take, in my opinion, but at least they’re not purposely bashing beef that does contain hormones or steroids. A&W Canada has listened to their customers and taken action – and I have to give them credit for that. What do you think of the new A&W Canada Better Beef campaign? Please comment below. When a local producer from whom I bought roasting chickens was crowned by the humane society as raising chickens humanely, I stopped buying chickens from them. I said I would leave their chickens for those people who thought the rest of us farmers raised our animals inhumanely. Marge nailed it! The unsustainability of avoiding the use of technology in Agriculture is truly frightening. GMO crops and antibiotics / growth promotents in livestock need to be celebrated as being the most environmentally friendly and safe food on the market. I agree, Allen. Thanks for commenting! I would have done the same. Thanks for commenting! I agree, it is misleading labelling. Thanks for commenting!